Wednesday, 30 November is St Andrew’s Day, and the lecture at the Stirling Smith will be given by Dennis Canavan, the man who successfully promoted the St. Andrew’s Day Public Holiday (Scotland) Act of 2007 in the Scottish Parliament, re-instating the national celebration of the day for the first time since the Scottish Reformation of 1560. He will be speaking on ‘St. Andrew’s Day – a time for all to celebrate’. This is another national story which is a Stirling Story, for Dennis Canavan is a Stirling resident. Before entering politics, he was head teacher of mathematics at St. Modan’s High School, Stirling. He served in the Westminster Parliament as MP for West Stirlingshire 1974–1983 and Falkirk West, 1983-2000. He campaigned long and hard for a Scottish parliament. When he decided to stand for the new Scottish Parliament, he failed to be selected by his party, but said he would ‘Let the people decide’. They did, and returned him as an independent MSP with the highest majority of any member of the Scottish Parliament in the 1999 elections. On retirement he was the longest serving parliamentarian in the Scottish Parliament, having completed a combined 33 years at Westminster and Holyrood. 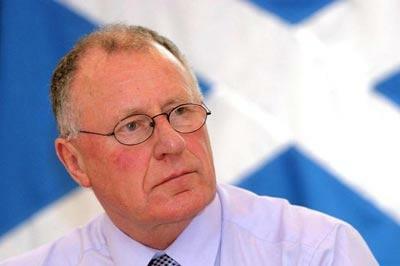 Dennis Canavan changed the course of Scottish history. Hear him speak at the Smith, 12 noon next Wednesday.